Hand drawn sketch of Bublik bread. Vector drawing of Wheat bread food, usually known in Poland. Bread illustration series. 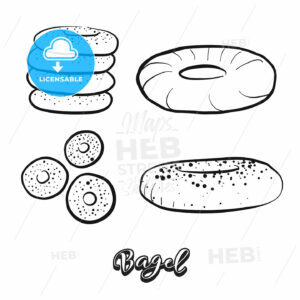 Hand drawn sketch of Bagel food. 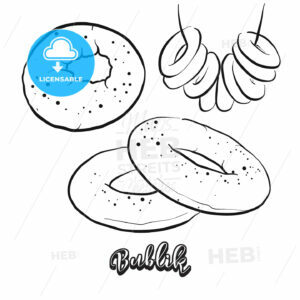 Vector drawing of Yeast bread food, usually known in Polish, Ashkenazi, Jewish. Bread illustration series. 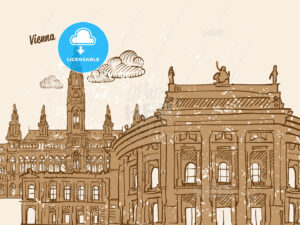 Vintage Wedding Hand Drawn Animated People. Well drawn Composition with two Colours. Orange, Black and White. Marry me. Gossip, Bouquet of Flowers, Ring, Kiss, Invitation Scenes. Alpha Channel included.